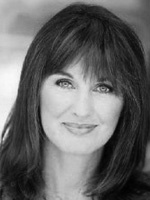 Catherine Butterfield is an American Actress, Playwrite, and producer. In addition to the theater work where she got started she has written and produced for television. 12/16/1976 0566 The Doctor's Evidence A shallow man who is having an affair with his secretary catches a lucky break when his wife dies in an accidental fall. But her son suspects that his wife sent him a message by telepathy saying she was going to be murdered.